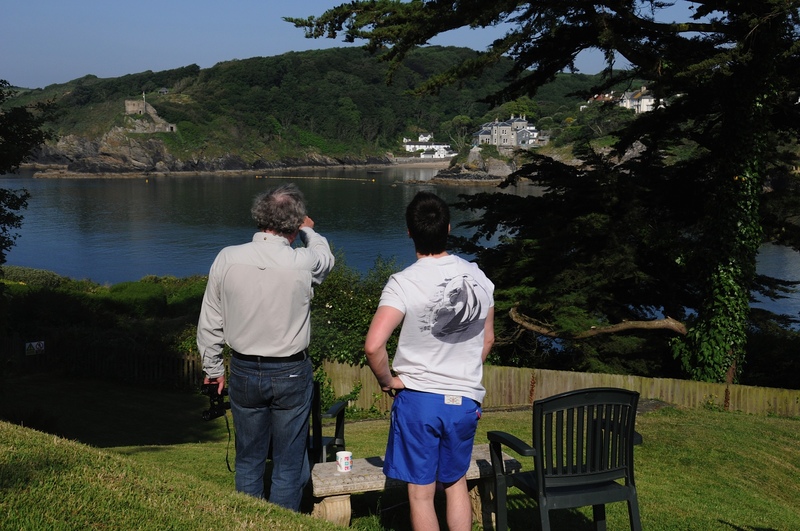 We are in the middle of the annual family sojourn to Cornwall, where my father has taken up residence on his favourite seat in the garden to study the passing ships with his binoculars (no doubt contemplating his own imminent foray out to sea in his beloved dinghy ‘Chrismick‘). 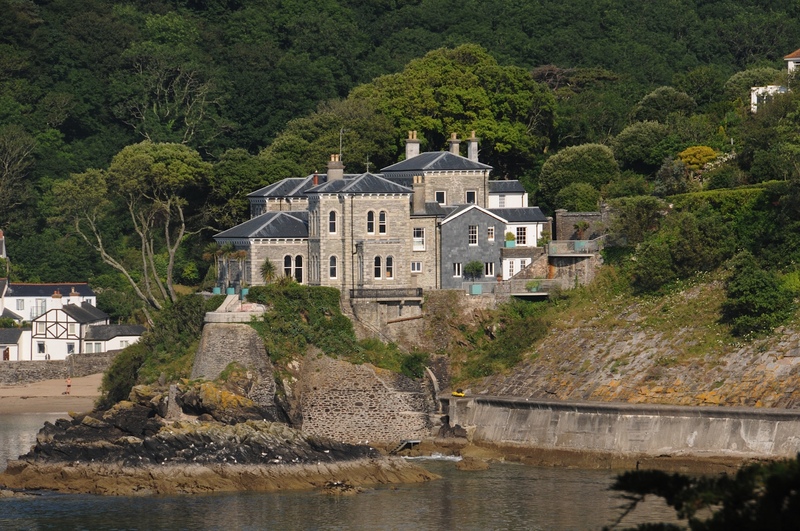 This was, until his binoculars fell upon a particular palatial home, built into the cliff directly opposite. My father sat studying the house for quite a long time and pondered who might live in such an opulent mansion. 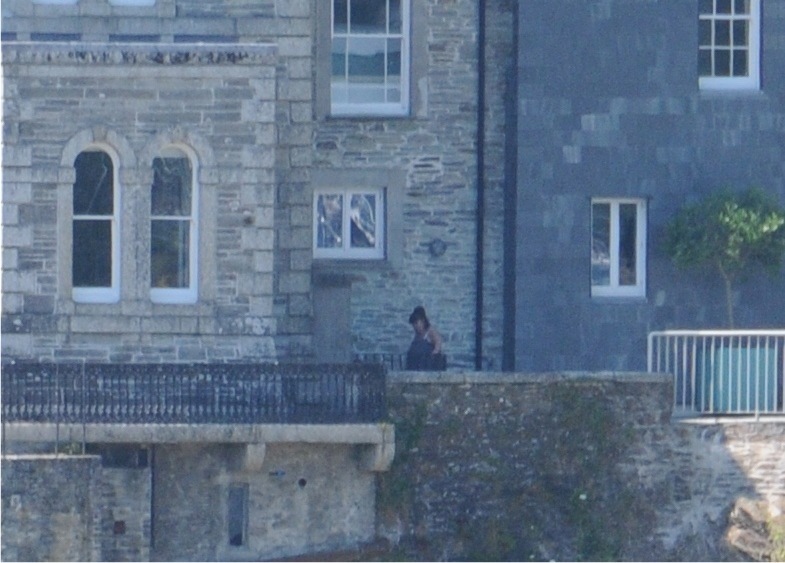 That afternoon, my sister visited the cove below and reported that she saw a girl ‘fitting the description’ of Dawn French’s daughter Billie, padding from the beach and into the mouth of its imposing gates. A lengthy discussion was then held by the whole family (along with lots of Googling) at the end of which it was decided that all the evidence pointed to a firm conclusion that this was in fact the residence of non other than Dawn French. The next morning, my father rose early, filled his flask with coffee, took up position in his chair and trained his binoculars on the house, looking for any sign of movement. ‘Dawn Watch’ continued that evening, followed by another discussion about the rotund comedienne. My sister had been following her on Twitter and discovered she had been at a book signing in nearby Falmouth. 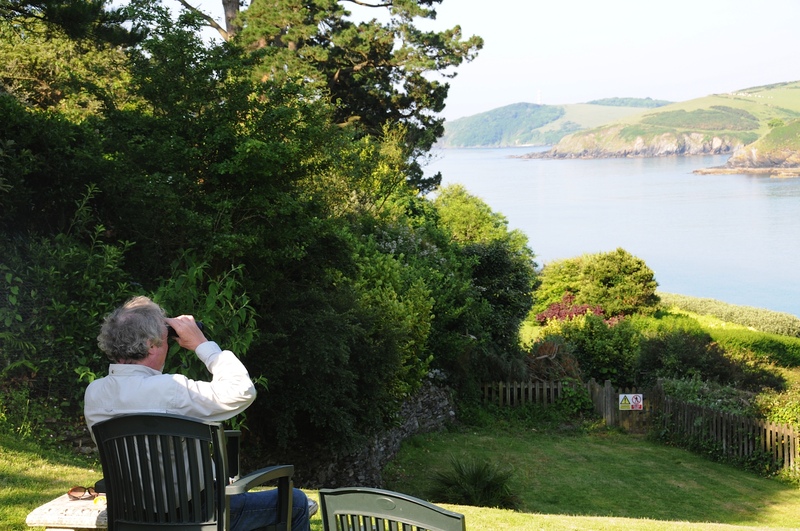 There was every chance that Dawn might be at her Cornish home, fuelled by my father’s report of a light going on in the house at approximately 9pm. And then, finally… a firm sighting! At 2.09pm yesterday afternoon, my father excitedly summoned us all to the garden and one by one we peered through the binoculars. Before our eyes was the unmistakable silhouette of Dawn French, on the balcony of her 40-room mansion enjoying the afternoon sun in a billowing kaftan. Dawn French is beginning to take over our holiday: my sister has been googling all about her divorce from Lenny Henry and recent marriage to a man called Mark Bignell (after a 16-month romance! ); my father has been on Google Earth investigating the layout of her gothic-style house (it can’t possibly have 40 rooms! ); my mother has become something of an expert in Dawn’s weight loss and then subsequent gain (it must be all those Cornish cream teas and pasties!). 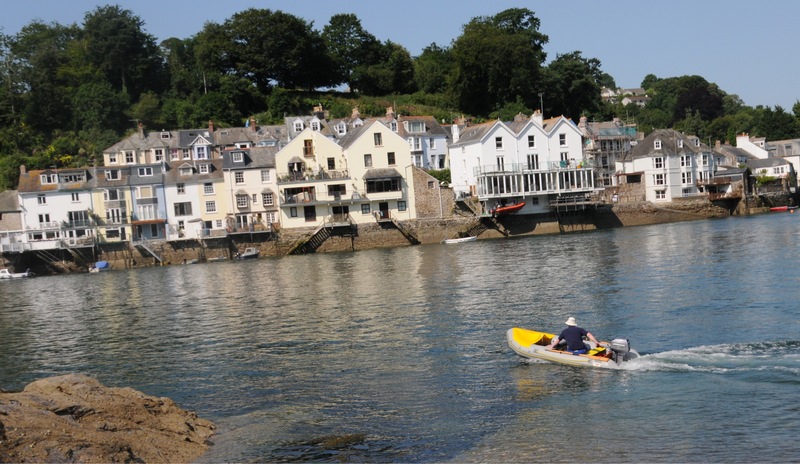 Gripped by ‘French fever’, my father was last seen roaring off to Fowey in Chrismick to get a closer look at Dawn’s house from the sea. I’m not sure where this obsession will end. Camping outside her house until she invites us all in for a traditional cream tea?